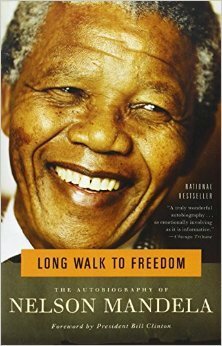 Nelson Mandela’s memoir, a sequel to his 1995 autobiography Long Walk to Freedom, will be published in 2016. The book will be based on a hand-written draft and completed by Nelson Mandela’s former advisers. Nelson Mandela’s widow, Graca Machel, said he began work on the manuscript in 1998, towards the end of his five-year presidential term. Publishers Pan Macmillan said the book would be “candid and clear-eyed about the difficulties he faced in office”. Graca Machel said Nelson Mandela saw it as “a natural progression” from Long Walk to Freedom which covered his early years, his political struggle against South Africa’s apartheid regime, and the 27 years he spent in prison. The book went on to become one of the best-selling political memoirs of all time. Editorial director Georgina Morley said the new book, based on material from the Nelson Mandela Foundation’s archives, would “remind readers everywhere what he stood for”. An exact publication date was not announced. Nelson Mandela was released from prison in 1990 and went on to win the presidency in South Africa’s first all-race election in 1994. He won the Nobel Peace Prize, along with former South African President F.W. de Klerk, in 1993 for negotiating the end of white-minority rule. Nelson Mandela stepped down in 1999 to concentrate on charity work. Literary agent Jonny Geller said the book would be an important historical document. “A lot of it is a political memoir about being president, his relationships with the army, with the unions and with the tribes. What’s really interesting is that he can’t help but talk about leadership and talk about the most important thing which is the transition from freedom to power.